Oscilloscope calibration can be complex, time consuming and expensive. A significant amount of skilled operator interaction and interpretation is often required to complete the job, and today’s multi-channel instruments frequently mean that a great deal of lead switching is required. Even automated systems require significant manual intervention to complete elements of the most simple calibration procedures. Worse still, switching systems or multiplexers used to enable a degree of automation often contribute more errors and aberrations than the instrument being calibrated. To compound the problem, rapid developments in oscilloscope technology make it difficult to keep up with performance trends without substantial re-investment on a regular basis. The Fluke 9500B Oscilloscope Calibration Workstation breaks that paradigm. 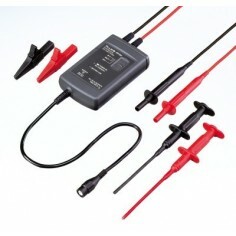 It means that the benefits of hands-free, fully-automated, accurate oscilloscope calibration are readily available to everyone at a price and performance level that your needs and budget can support, while ensuring that, through performance upgrades, future needs will be met when the time demands it. The introduction of the latest member of the Active Head family, 9560, once again underlines our commitment to oscilloscope calibration. With our continued focus on securing your investment, the 9560 Active Head is the latest product to fulfill this promise, allowing current users of the 9500 to upgrade their equipment to any 9500B status and take advantage of more recent product and performance enhancements. The 9560 is able to deliver 6.0 GHz leveled sine wave and pulse edges of only 70 ps. Unlike other oscilloscope calibrators, you’re not restricted to fixed amplitude pulses. Active Head Technology™ lets you adjust output amplitude between 4.44 mV and 3.1V, allowing you to check an oscilloscope’s amplifiers right down to their most sensitive ranges. Whatever amplitude you choose, controlled waveshape filtering ensures that all high-speed edges have an accurately defined energy distribution. Full automation provides totally hands-free oscilloscope calibration - even on today’s ultra-high performance, multi-channel, feature rich instruments. Continuous upgradeability helps you protect your investment in the tools you need to manage ever changing workload demands. Simultaneous output on 5 channels means no more lead changing and no more complicated signal multiplexers or impedance matching networks. Leveled sinewaves to 6.0 GHz and edges to 70 ps provide all the performance and flexibility you need to fully calibrate today’s and tomorrow’s high performance oscilloscopes. Fluke’s unique Active Head Technology™ generates calibration signals right at the oscilloscope input – now there is no doubt whether waveform aberrations are down to connecting leads or the oscilloscope itself. Automating oscilloscope calibration is possibly one of the biggest productivity enhancements that can be realised in many calibration labs. Performed manually, this work requires skilled operators to spend a substantial amount of time performing what are essentially repetitive tasks. Semi, or partial automation solutions apparently address this issue and free skilled technicians to perform more valuable tasks. However, in practice, these partial solutions present their own problems. Over the last decade, the oscilloscope of choice has migrated from a two-channel instrument to a more complex four-channel device. When calibrating these instruments, it is necessary to move the calibrating signal from channel to channel as the procedure progresses. This can be achieved by physically moving cables, though this requires operator intervention. 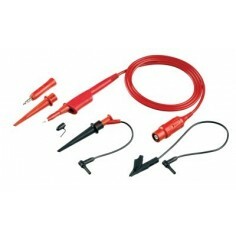 In high performance instruments, this may introduce additional measurement uncertainties as cables and connectors are handled. An alternative is to introduce a switching matrix to route signals, though this may result in problems with signal reflections, poor contacts and path differences that materially impact calibration uncertainties. 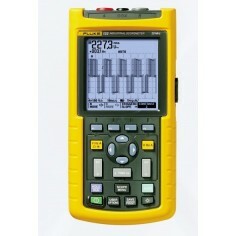 The Fluke 9500B addresses these issues, and provides true, full automation through the use of its unique Active Heads. With the 9500B, all the signals required to fully calibrate the oscilloscope are generated in detachable heads, remote from the calibrator mainframe. The heads are connected directly to the oscilloscope input without the need for additional cables. All control and switching of waveforms are performed under the control of the mainframe, yet within the head itself - typically only a matter of millimeters away from the oscilloscope input and amplifiers. With each 9500B mainframe able to control up to five heads, all the signals required to calibrate a 4-channel oscilloscope with an external trigger can be supplied, controlled and switched without operator intervention or the need for external switching. The final link in the chain of full automation is software. 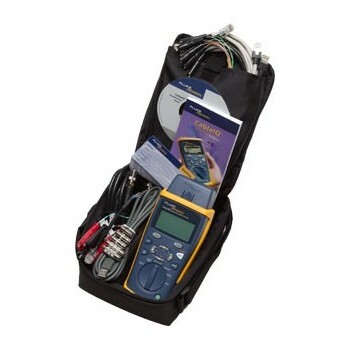 The 9500B Oscilloscope Calibrator can be used with Fluke’s powerful IEEE-488 (GPIB) based MET/CAL Plus automated calibration management software. While allowing you to automate the calibration process, MET/CAL also documents results, manages your calibration inventory, and allows you to develop new oscilloscope calibration procedures. Running under Microsoft Windows® and supporting multi-user networking, the software implements advanced features such as ISO 9000 compliant traceability, custom certificate and report generation, and high-level procedure programming. The result is higher workload throughput, better calibration consistency, minimization of human error, and less requirement for operator training - in short, higher quality calibration at lower cost. To keep pace with the fast changing oscilloscope market, Fluke is continuously writing new calibration procedures. 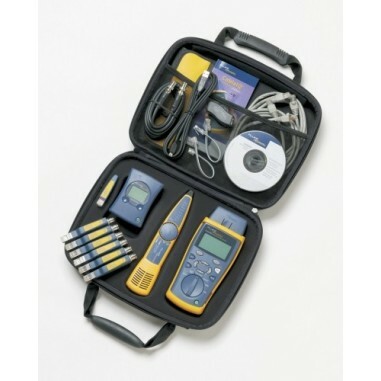 For a one-off, low-cost payment (less than it would cost you to have three or four DSO oscilloscope calibration procedures written), you can buy into our MET/SUPPORT Gold Software Support Program which gives you access to every new procedure written by Fluke’s software support team during the next 12 months. On current performance, that’s upwards of 100 new oscilloscope calibration procedures per year. And you won’t have to request updates or wait for delivery; every new procedure we write is available for download from our web site. In addition to the free procedures library, you will receive 60 days priority support to get you up and running with MET/SUPPORT Gold. You also have the option to buy into our MET/SUPPORT Gold program, which offers you various advantages, including the opportunity to download new procedures from our web site or even obtain custom written procedures. If the oscilloscope calibration procedure you require is not available and you need it quickly, we can write it for you at very competitive rates as part of our fast-track procedure writing scheme. Over recent years, oscilloscope technology and performance levels have changed dramatically, a trend set to continue. What was considered to be a cutting edge instrument only a few years ago may now be relegated to the general purpose pool. The challenge for those chartered with maintaining a calibration facility to support these instruments is how to keep up with this rapid progress. The Fluke 9500B offers the perfect solution – full upgradeability. Today you can invest in a 9500 oscilloscope cal solution with performance at a modest 600 MHz. As your workload changes, and higher performance instruments become more important, you can upgrade performance to 1.1 GHz, 3.2 GHz and right up to 6 GHz. If you already need to work with higher performance instruments, you can jump right in at any point. If full automation is not something you need right away, begin with just a few Active Heads, or just one. As needs change, add more heads until you have the degree of automation and the level of performance that perfectly match your organisation’s daily oscilloscope calibration needs. 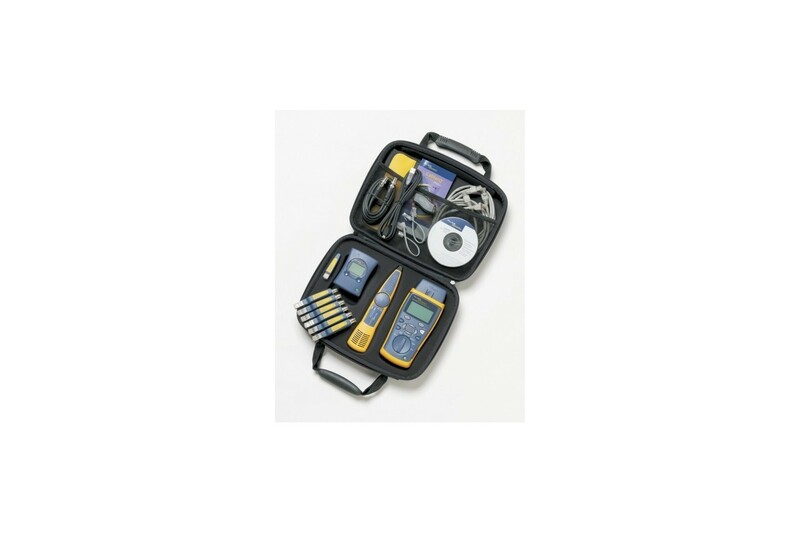 Only Fluke’s 9500 and 9500B Oscilloscope Calibration Workstations, with their unique ‘Active Head TechnologyTM’, can provide the technology upgrade path to secure your investment in calibration equipment. Fluke appreciates that your needs will almost certainly change in the future, and that completely replacing a fully operational piece of equipment simply to improve performance levels is not your desired approach. Therefore, any of the models listed above can be upgraded to higher performance at any time, an option which also applies if you already own one of our existing 9500 Series calibrators. We will make every effort to ensure that any future developments will also fit this upgrade philosophy. Four different Active Heads further expand upgradeability options of the 9500B family. Their addition can improve performance, extend frequency range or increase automation possibilities of the 9500B Oscilloscope Calibration Workstation. 9510 1.1 GHz Active Head with 500 ps pulse risetime - Compatible with all 9500B mainframes the 9510 will supply leveled sine to 1.1 GHz (or maximum frequency of the mainframe, whichever is lower). It will output pulse risetimes of 500 ps when used with any mainframe. 9530 3.2 GHz Active Head with 150 ps and 500 ps pulse risetim - Compatible with all 9500B mainframes, the 9530 will supply leveled sine to 3.2 GHz (or maximum frequency of the mainframe, whichever is lower). It will output pulse risetimes selectable between 150 ps and 500 ps when used in any mainframe. 9550 ultra-fast Active Head with 25 ps pulse capability - The 9550 provides pulses with rise and fall times of 25 ps that can be used for calibration of sampling oscilloscopes to 14 GHz. 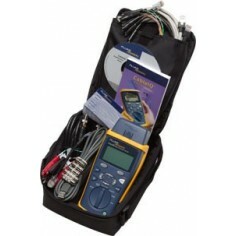 9560 extended 6 GHz bandwidth Active Head - The 9560 provides the 9500B with the unique ability to accurately calibrate with leveled sine function to 6 GHz, performance unmatched by any other oscilloscope calibrator. The 9560 will only generate 6 GHz when used with a 9500B/3200 mainframe or an upgraded 9500/3200. Contact Fluke if you have an existing 9500 mainframe you would like upgraded to this performance level. Active Heads are lightweight modules measuring only 14 x 6.5 x 3 cm which connect to the 9500B mainframe through two cables – a single coaxial cable and a control umbilical. Within the head is all the circuitry needed to supply all the signals necessary to calibrate a modern, high-performance oscilloscope. This includes precision dc levels up to ±220 V; calibrated amplitude squarewaves up to 210 V pk-pk from 10 Hz to 100 kHz; leveled sinewaves from 0.1 Hz to 6 GHz (depending on head); and four different styles of timing marker from 0.2 ns to 50 s. The hybrid within the head can route even a high frequency, externally generated calibration signal to the Active Head output. The hybrid also contains sinewave amplitude sensing circuits, wideband attenuator networks, a pulse generator, an edge generator and output signal multiplexing. Key to delivering absolute performance is the proximity of the head’s output circuit to the input of the oscilloscope’s amplifier. In a conventional, cabled environment, mismatches, unknown or unpredictable cable transmission properties and less than perfect connections all contribute to degradation of the signal between the calibrator output and the oscilloscope input. When using Active Heads, the calibrator output and the oscilloscope input are literally millimeters apart. This short distance comprises matched impedance, micro-strip transmission line and high quality BNC or SMA connectors to all but eliminate sources of degradation, distortion and uncertainty of calibration signals. An automatic internally switched 50Ωtermination eliminates the need for external terminators when connecting to high impedance oscilloscope inputs. The introduction of the latest member of the Active Head family, 9560, once again underlines our commitment to oscilloscope calibration. With our continued focus on securing your investment, the 9560 Active Head is the latest product to fulfill this promise, allowing current users of the 9500 to upgrade their equipment to any 9500B status and take advantage of more recent product and performance enhancements. The 9560 is able to deliver 6 GHz leveled sine wave and pulse edges of only 70 ps. Unlike other oscilloscope calibrators, you’re not restricted to fixed amplitude pulses. Active Head Technology™ lets you adjust output amplitude between 4.44 mV and 3.1V, allowing you to check an oscilloscope’s amplifiers right down to their most sensitive ranges. Whatever amplitude you choose, controlled waveshape filtering ensures that all high-speed edges have an accurately defined harmonic energy distribution. Fast return-to-ground edges with amplitudes between 4.44 mV and 3.1 V and rise/fall times of 70 ps, 150 ps or 500 ps check the pulse response and bandwidth of an oscilloscope’s vertical deflection/acquisition amplifiers. High level edges up to 210 V pk-pk check the dynamic performance of input attenuators. Leveled sinewaves up to 600 MHz, 1.1 GHz, 3.2 GHz or 6 GHz with an amplitude range of 4.44 mV to 5.56 V pk-pk into 50W (8.88 mV - 5.56 V pk-pk into 50W when using the 9560 Active Head) allow direct calibration of oscilloscope bandwidth. They also calibrate Z-axis and horizontal deflection bandwidth. 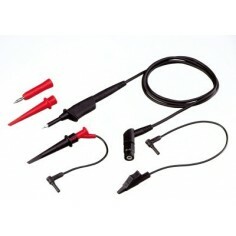 Dual Sine outputs calibrate the oscilloscope’s trigger sensitivity and any other functions that normally require the insertion of a splitter into the connecting cable. DC levels and 10 Hz to 100 kHz squarewaves are adjustable up to 220V with 5-digit amplitude resolution at 0.025% accuracy for dc and 0.05% for squarewaves – more than sufficient to calibrate the vertical deflection ranges of 12-bit digitizing and 14-bit interpolating oscilloscopes. The 9500B even checks the oscilloscope’s input impedance before applying high voltages in order to protect 50W input terminations. Automatic switching to 50Ω output impedance provides the same waveforms at amplitudes up to 5.56 V (except 9560 where source impedance is compensated for by re-scaling the minimum amplitude i.e., 8.88 mV - 5.56 V pk-pk into 50Ω). Timing markers cover the calibration of timebase ranges from 0.2 ns to 50 s per division. A choice of four styles, plus the ability to highlight every tenth marker by increasing its amplitude, provides optimum visibility on analog and digital storage oscilloscopes. The square and pulse markers can also be used to calibrate timebase jitter. Complete with high-stability crystal reference, the 9500B calibrators have timing accuracy of ± 0.25 ppm – the level required to calibrate the latest DSOs. The 9500B Auxiliary Function capabilities calibrate oscilloscope functions often overlooked on other calibrators. Level: 90 mV to 1V pk-pk typ. Weight: 12 kg (27 lbs) approx. Weight: 0.45 kg (1-lb) approx.  Designed to UL3111 and EN61010-1-1:1993/A2:1995.